Over the last few weeks there have been rumblings about what the future holds for the wonderful Kidz ‘n’ Cats dolls. These gorgeous dolls, designed by Sonja Hartmann of With Heart & Soul, have been made in China since their introduction in 2009. With Heart & Soul, as a business, is very much a family affair with Sonja, her husband Hagen and daughter Gesa, all playing their part. With Petalina being a small business too, run by me with the help of several amazing Mum friends, it is wonderful to be able to work with a family concern. In September 2013, With Heart & Soul made an announcement that the next batch of Kidz ‘n’ Cats dolls to be produced are to be assembled in their own studio in Berlin. Sonja has 30 years experience of doll design and manufacture and since launching Kidz ‘n’ Cats she has been frustrated by the delays in production in China and the occasional quality problems associated with it. 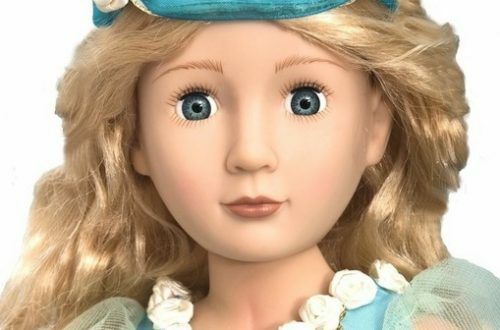 Despite continual trips to the factory to oversee the production as it takes place, some of the dolls that have arrived in Germany have not always been as good as Sonja would have liked. 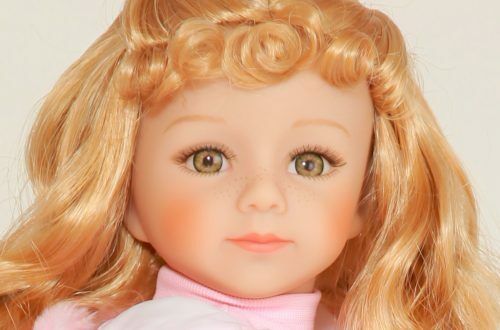 As one of their top retailers I understand how a perfectly beautiful doll can be ruined by the poor application of a wig, or a blob of paint in the wrong place from a messy work bench! So wasteful, but at least Kidz ‘n’ Cats and Petalina care about their customers a great deal so between us we have done our utmost to sort out problems or concerns our customers may have had with their lovely dolls. From now on Kidz ‘n’ Cats dolls are to be assembled in Germany. The various doll parts will be sourced from around the world but the overall construction will be done under the watchful eye of Sonya, Hagen and Gesa in their studio. There may be some hiccups to start with but if the project is successful With Heart & Soul will take on more staff to enable greater numbers of their beautiful dolls to be produced. This is music to my ears as more and more customers want to know where the products at Petalina are made as they try and support European made goods. Even if the parts are made in China, the footprint will still be much less as the dolls will not travel the globe in large presentation boxes. Henriette, the first Wunschpuppe Kidz ‘n’ Cats doll, was also launched in September and sold out in a matter of days. This is the first time that a customisable doll has been offered by With Heart & Soul and due to it’s success it won’t be the last time either. Several Petalina customers were able to take advantage of this offer and chose their perfect colour combinations. 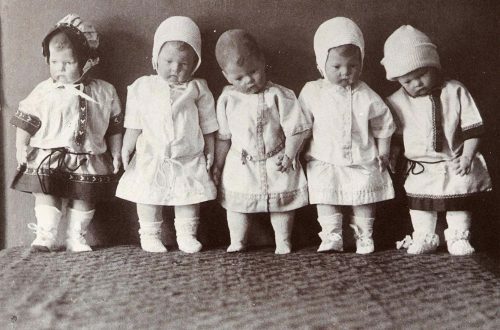 The dolls are being assembled as we speak in Berlin and will be delivered in plenty of time for Christmas. Petalina would like to wish Sonja, Hagen and Gesa the best of luck with their venture. A brave decision but a very wise one I think. Since this was posted production of Kidz ‘n’ Cats went back to China because production in Germany was such hard work. The brand Kidz ‘n’ Cats was then taken on by Hape, a German company supporting traditional German toys, and they over saw production of the dolls in China leaving Sonja with more time to create and design.